When he was just 15 years old, talented brass musician Daniel Ridder started playing the Trombone; eventually moving on to professionally train to play the Tuba several years later. It was around this time that Ridder joined the military, beginning his career as a Draftee in the Concert Band of the German Armed Forces in Siegburg. 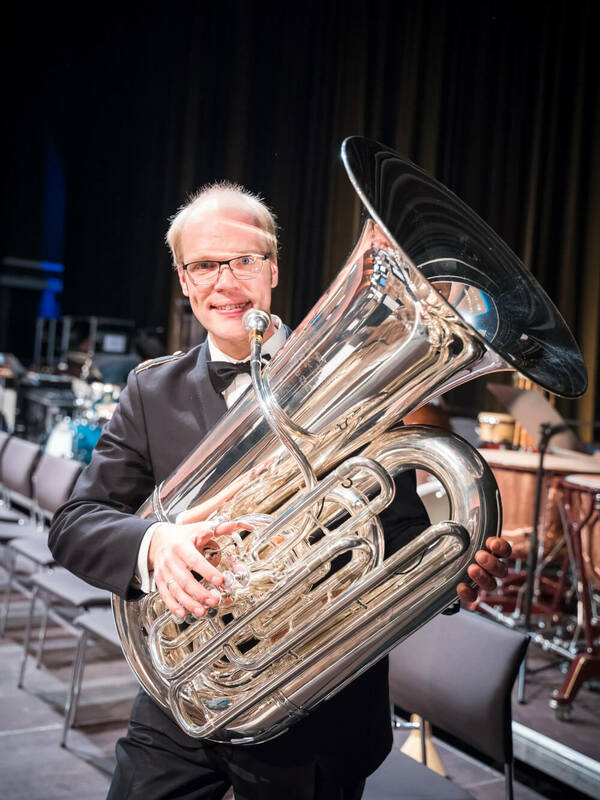 However, it was only after Ridder was accepted as a member of the Training Band of the German Army in Hilden that he decided to become a professional Tuba player. In 2004, Ridder started studying Tuba at the Robert Schumann Hochschule in Düsseldorf under Professor Hans Gelhar und Hans Nickel and graduated with his diploma in 2009. In addition, Ridder has enjoyed many opportunities to travel the world; playing live concerts and recording several solo CDs. Particularly passionate about sharing his knowledge and developing fellow musicians, Ridder also teaches workshops and professional masterclasses for deep brass instruments.